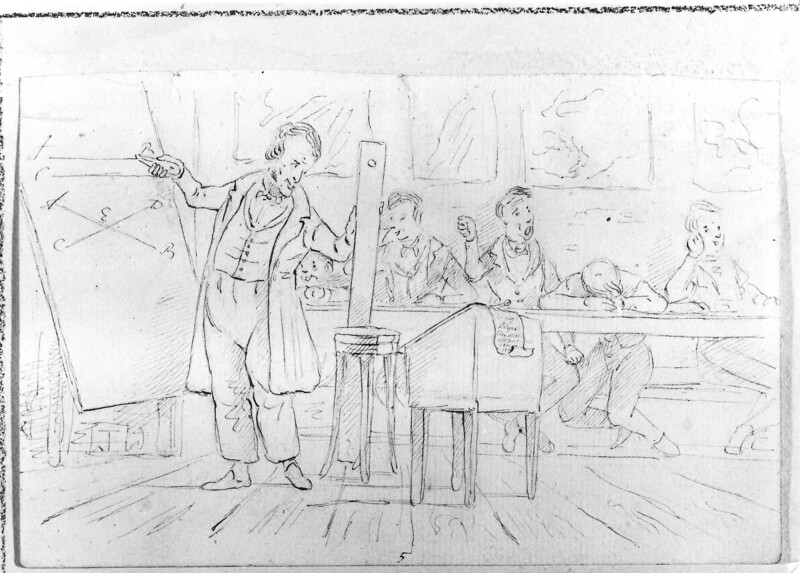 The drawing of a mathematics lesson is made around 1840 by Alexander Ver Huell, at J.J. de Gelder’s school in Leiden. The photo of a mathematics lesson is made in the school year 1935-1936 at a HBS in Utrecht, situated Nieuwegracht 36. This illustration is from the lecture notes by Frans van Schooten Sr., professor Duytsche Mathematique at the university of Leiden from 1615-1645, Duytsche Mathematique was a course for surveyors and military engineers. This exercise is from Beginselen der stelkunst (Principles of algebra) by J.C.J. Kempees, 3rd ed., 1854. The book was used for more than 40 years, in military and secondary education.